The assumption underlying the shrill demand to just believe complaints of sexual assault or harassment is that all women share a unique weakness which requires suspension of rule of law. 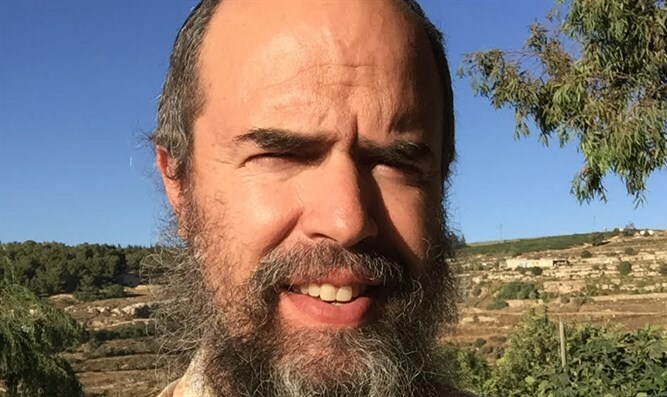 Daniel Winston is a marital therapist and writer living in Bat Ayin, Gush Etzion. When erstwhile social justice warriors assault public figures in public places, demanding they answer this “question”, they actually do a fundamental disservice to girls and women and the cause of true justice. The assumption underlying the shrill demand to just believe complaints of sexual assault or harassment is that all women share a unique weakness which requires suspension of rule of law and principles of fairness. Most constitutional democracies hold that all are innocent until proven guilty and that everyone shall be afforded due process of law. The “I Believe Women” chant holds as axiomatic that women are inherently helpless victims of an abusive patriarchy who need to be propped up, or “empowered”, by effectively tying the hands of the accused and demanding a blank-check belief in every word any woman utters - simply by virtue of her being a woman with a narrative. While sexual predators should be vigorously prosecuted, such inauthentic and unjust empowerment of female victims comes at the expense not only of the constitutionally guaranteed rights of the accused, but also of the very humanity and dignity of the alleged female victims of said abuse, and of the righteous cause of providing them with true justice. 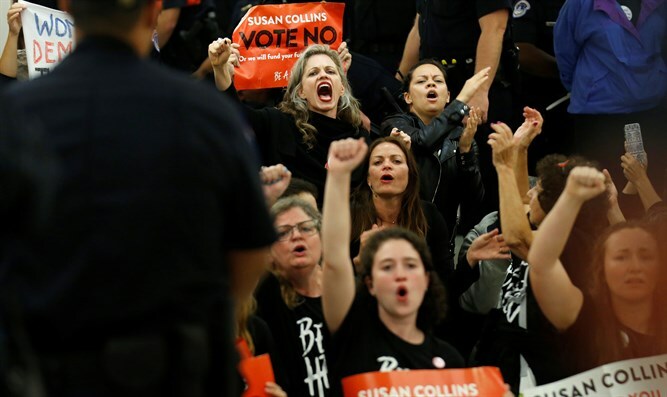 As exemplified by the Kavanaugh hearings, the uniquely demeaning subtext of this “empowerment” is that women can only be heard if they silence all other voices, they can only be respected by first dishonoring and destroying anyone who has an alternative narrative, and that they can only obtain justice if the field is first cleared of all obstacles by any means necessary - the question of the innocence or guilt of said obstacles be damned. The demand that all women be believed, irrespective of evidence or due process, does more of a disservice to women than so-called feminists are capable of even seeing, let alone admitting. It actually serves the so-called patriarchy insofar as such a move is intrinsically patronizing and the demand for blank-check belief infantilizes the very women who are supposed to need empowerment. Are women a club of the weak in which each member is obligated to always blindly support other club members simply because of gender? In a similar vein, politicians would demand that women vote “As Women”, not as intelligent adult American citizens with wide ranges of opinions. During the 2016 elections, former Secretary of State Madeleine Albright relegated to a “special place in hell” women who didn’t support female candidates. What is the Secretary's operating assumption? Is it that women are a club of the weak in which each member is obligated to always blindly support other club members simply because of gender? Or perhaps it is that the only issues that should interest women are "Women’s Issues" - and as such, women should be defined by and motivated from only those topics which have the imprimatur of the high-priestesses, or Big Sisters, of feminism who know what all women should think. I refuse to just believe all women for the same reason I refuse to just believe all men, or all Blacks, or all Whites, or all Jews, or all Christians, or all… anybody. I refuse to believe all women because I believe in women and in the importance of respecting them enough to believe they can and should operate by the same adult rules of law and fairness from which everyone should be expected to operate. If feminists truly wish to empower women, they might want to consider first believing in them enough to stop “empowering” them and start recognizing that true power is not bestowed from without, but is rather something which can emanate from a much deeper, non-gender-dependent place within each of us than either the patriarchy or the feminist movement may be prepared to tolerate. If the judicial system cannot convict the accused based on the evidence, that does not mean that we should arm women with the means to trample that system by granting them the power to destroy at the mere assertion of a story, even if many or most of those stories are indeed painfully factual. To do so is to rob them of their true power and replace it with an anemic and childish rage. This fake-power can be both wielded to terrible effect on its targets regardless of their guilt or innocence, while also diminishing the “empowered” to whichever least common denominator will supposedly serve the narrow battle-cry of the day. I do not and will not “believe” women - because women deserve better. Women should demand better. The author is a Jerusalem area marriage counselor and freelance writer.